This book had the potential to be great, and it was certainly gripping at times, but ultimately, it was just okay. The biggest turn off for me was the intense violence and cruelty described at certain parts of the book. It felt unnecessary disturbed me enough to pull me out of the experience. The plot line was fun, and I wish I had been able to get more into it, but in the end, I would not be able to give it a very strong recommendation. I only wish I had read this before seeing the TV movie back in the 90s. What an amazing story, and so much better in book form. I listened to it as an audio book read by William Defoe, and despite his unbelievably annoying voice for Bethany Simms, he did a superb job. The suspense and confusion created by this story is fantastic, and highly recommended for anyone, whether they’ve seen the TV movie or not. I haven’t read a young adult book in years, but this happens to be the one other novel by the author of my favorite book from my teen years, The Door in the Lake. The Door in the Lake captivated and moved me as a teen and I’ve never forgotten it. This book was equally as beautiful, moving, and heartfelt. It can be difficult to review a young adult book as an adult, the style is simpler, the themes more pronounced, but I felt I owed this book the chance. I am glad that I did. Loss and friendship are the prominent themes, and the author’s ability to weave sign language into the conversation was stirring. 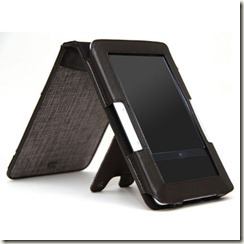 I love my Barnes & Noble NOOK! So much so that I am willing to follow their silly stylized rules of always capitalizing the word NOOK. Trust me, that’s love. I dismissed e-readers for a long time; I loved (and still do) the feeling of a book, having books on bookshelves, shopping at my local used bookstore (I’ll miss you Two Buck Books! ), and the list goes on. Over time I began to see more and more people with them on the train as I commuted to work, and was drawn to their size and convenience. After doing my research I ultimately decided on the Barnes & Noble NOOK due to a few reasons, with the main reason being the ability to check out library books. I think that anyone considering buying an e-reader is going to at least consider the Amazon Kindle, and I did, but it lacks the library book option, and that was important to me. I also liked the fact that NOOK is built on the Android OS, even though that really has no impact on the user experience. I’m an Android fanboy, that’s all there is to it. 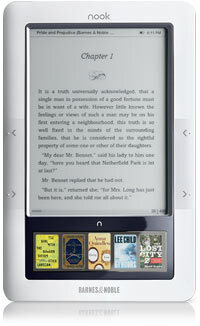 Also worth mentioning is the lending feature available on the NOOK. Being able to share a book with a fellow NOOK reader is pretty great and maintains some of that social aspect of reading a good book. The NOOKbook store has an always changing selection of free and discounted books, and after asking for B&N gift cards for Christmas I shouldn’t have to pay for a book for quite some time. Now complete with my Flip Style Case (pictured above) and my Mighty Bright Clip-On Light, I enjoy reading in a way that I haven’t since my nerdy teen summers. It's very strange, I was going through my wishlist I have online on boxedup.com, and I have a book on there that I loved when I was a teenager. I looked up the author on Wikipedia, which made me think of another author, my favorite author from my teenage years, so I looked her up. It's not the first time I looked her up, but it's been a few years. Sadly she passed away in 2004, I had no idea. 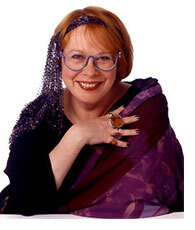 Paula Danziger, I don't think I'll ever forget her name, even when I'm old and gray and reading large print. :) She was 59, pretty sad, but amazingly(unlike my other favorite childhood authors) she was still writing and all of her books were still in print. I only read a few of her books, but my favorite was "This Place Has No Atmosphere". It's been forever, perhaps I'll re-read it for fun. Anyway, just a note, mostly for myself. Mourning the loss, over 3 years late, of an author that helped my imagination grow and put a smile on my face as I'd lay in bed all hours of the night during summer break reading with my booklight, hoping I could finish the book before the batteries died.